Editor’s note: This guest post was written by Dave Chase, the CEO of Avado.com, a health technology company that was a TechCrunch Disrupt finalist. Previously he was a management consultant for Accenture’s healthcare practice and was the founder of Microsoft’s Health business. You can follow him on Twitter @chasedave. As reported on TechCrunch, Google shut down its medical records and health data platform. Since then, there’s been a lot of bits spilled offering explanations, but they all missed the most critical item. Money. Or in the language of healthcare—Reimbursement. I explain more below regarding why Google Health was doomed to fail in light of the legacy reimbursement model. First, let’s recap some of the explanations offered up so far. These are all valid but miss the biggest point. Adam Bosworth, who originally ran Google Health gave one reason: It’s Not Social. That’s true if one wants to create a weight management program or is simply interested in fitness-minded folks. Clearly that is important given the obesity epidemic, however there’s vast swaths of healthcare where being “social” isn’t appropriate or applicable in a doctor-patient relationship. In other words, being social is necessary but not sufficient to transform healthcare. It’s tough, even for big companies, to focus on a bunch of different things. I’m sure they could have figured out how to be successful if it was as strategically important as Search or Chrome or Android or Social…but they have bigger fish to fry. The Health space is a very difficult one. In many ways, it’s counter-intuitive for those who haven’t been in the arena from both the healthcare provider and consumer perspective. As much as there’s a massive consumer-empowerment movement, in order to get ongoing and broad adoption of something in healthcare, one needs to lead with the clinicians. If you are interested in more, I’ve written about this here. One of the better analyses was done by John Moore of Chilmark Research. Few consumers are interested in a digital filing cabinet for their records. What they are interested in is what that data can do for them. Can it help them better manage their health and/or the health of a loved one? Will it help them make appointments? Will it save them money on their health insurance bill, their next doctor visit? Can it help them automatically get a prescription refill? These are the basics that the vast majority of consumers want addressed first and Google Health was unable to deliver on any of these. As much as we’d like to think it isn’t the case, the fundamental driver of most (not all) behavior in healthcare is the reimbursement scheme. As I described in an earlier piece on the “Do it Yourself Health Reform” movement, I spent much of my time as a consultant in the Patient Accounting departments of heatlhcare providers. The legacy reimbursement scheme can only be described as a Gordian Knot designed by Rube Goldberg. I expanded on the insidious effects of the reimbursement model in the U.S. in my overview of The Most Important Important Organization in Silicon Valley No One Has Heard About. 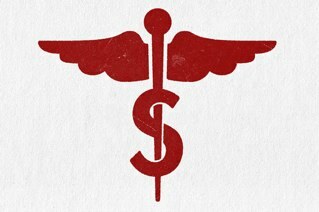 For those who would like to be optimistic about the reimbursement model changing, read about Health Insurance’s Bunker Buster. In the meantime, it’s critical to understand the current reimbursement model to understand why Google Health failed to transform the landscape. To understand the impact, I’ll exaggerate to make a point—your healthcare provider doesn’t care about you unless they can see the whites of your eyes. Why is that? Today’s flawed reimbursement scheme only compensates the healthcare provider for a face to face visit. It’s hard to fault the primary care physician who has been put on a hamster wheel of 30-40 appointments per day and can’t even give their practice away upon retirement (that was once their retirement plan) for not wanting to deal with their patients sending email or sharing information from their personal health record. Interestingly, in the transformative models I describe below, doctors consistently tell me that half to two-thirds of their patient interaction time doesn’t need to be face-to-face. They can deliver high quality medicine without being in the same room as them. Yet, the fee-for-service model causes this country to waste mountains of time waiting to get appointments and then in the waiting room in order to facilitate the face-to-face appointment. The problem for a company like Google or Microsoft is their success is measured in the tens of millions. Those kinds of numbers are only present in the legacy reimbursement model. Frankly, Google could have done all the right things, but if the reimbursement model doesn’t change Personal Health Records will remain irrelevant for most healthcare providers. At best, we’re seeing Electronic Health Record vendors release so-called Patient Portals that are often driven more by a marketing objective than a clinical objective. Further, they are flawed in that they are a one-way broadcast of the silo’ed information from only one healthcare provider. Is there any hope for individuals to be more involved in the healthcare system as Personal Health Records promised? After all, it’s clear that healthcare works best and costs least when the patient/individual is a partner in their care with their healthcare provider. Fortunately, I believe that we’re seeing the first waves of a tsunami lapping the shore. It’s what I call the P.A.C. Tsunami. Patient-centered, Accountability and Coordinated. Today’s flawed fee-for-service reimbursement system is essentially the opposite of those three elements creating all the wrong incentives. In its place, we’re seeing the first waves. Both the Do-it-Yourself Health Reform movement and the government-driven health reform are creating incentives for what are called a Patient Centered Medical Home (PCMH) and Accountable Care Organizations (ACO). We are already seeing dramatic success with the first editions of PCMHs in the models such as MedLion that were highlighted in The Most Important Important Organization in Silicon Valley No One Has Heard About article. ACOs have the right goals in mind but remain like Unicorns—fantastical beings no one has seen yet and have been described as stupefyingly complex in their design. In contrast, one can’t help but be optimistic when studying the results of PCMHs such as 40-80% reductions in the most expensive facets of healthcare (surgical, specialist & ER visits) or a pilot program in Ohio with Medicaid diabetics that scaled could save Ohio $500 million annually. Or consider the case of Denmark that was the first country to broadly adopt the PCMH model. It’s been so successful, they have reduced the number of hospitals in that country by over 50% as they simply don’t need that many hospitals anymore. What does this mean for the tech community? I’d posit that as mobile technologies have fundamentally reshaped voice and data, there’ll be an equally radical transformation of healthcare. Just as legacy telcos had to fundamentally transform themselves or they’d be an artifact of history, so too will healthcare organizations transform (or die). With the transformed healthcare ecosystem, there are requirements for entirely new categories of software that a new generation of startups will develop. Exciting times indeed.